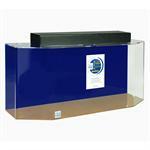 Acrylic Aquariums Direct goal is to make the costumers Aquarium purchase as simple and easy as possible. 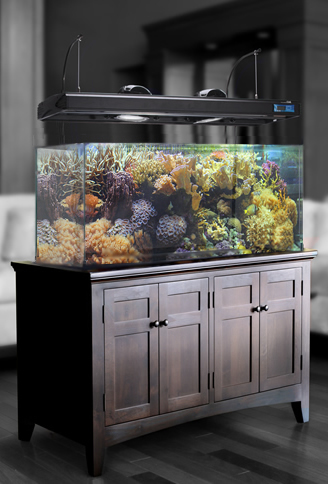 When purchasing a fish tank it can be very hard to figure out which aquarium will work best for you and in the space needed which is why we list the sizes of our acrylic aquariums with the product. Whats the difference between a Glass aquarium and an Acrylic Aquarium? Acrylic Aquariums are 17x stronger than Glass Aquariums. Our acrylic tanks are softer and more flexable than glass tanks so they are far more impact resistant and are less likely to chip or crack. 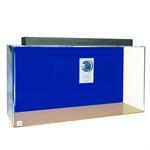 Our Acrylic Aquariums also have a LIFETIME LEAK FREE WARRANTY. 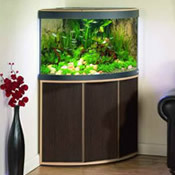 Unlike Glass Aquariums which have a sealant used on the corners to hold the glass together which over time will corrode the acrylic aquarium is chemically bonded so it fits together naturally with no seams or bonding agents visible giving Acrylic Aquariums there beautiful seamless viewing areas. 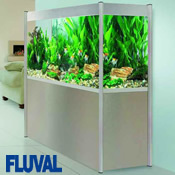 Looking for more fish tank brands? We carry products from All Glass, Aqueon, BiOrb, CAD, Clear-for-Life, Custom Aquariums, Coralife BioCube, Deep Blue, Eheim AquaStyle, Fluval, JBJ, Marina, Marineland, Midwest Tropical, Perfecto, Red Sea Max, Red Sea Reefer, SeaClear, Tetra, Tsunami, and Visio.